A storyboard is the presentation template in the world of animation. Now, if drawing is not one of your many talents, do not be disheartened for technology has created solutions that can help you meet the above requirements with ease. So gather your pen and take note of some of the creative ways you can employ in designing animated characters. Computer-aided-design (CAD) applications are the most technical tools one can use in developing animated characters of any form. With these tools, you can draw either 2 or 3 dimensional animated characters at will, but there is a catch. 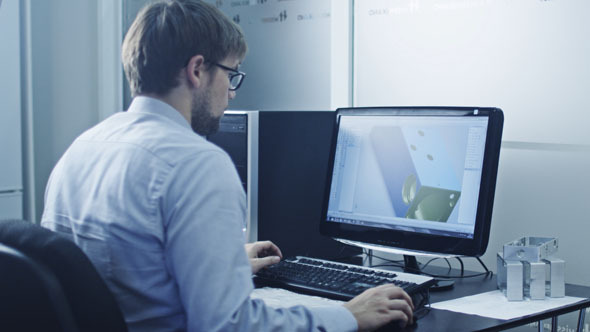 The learning process associated with making use of a CAD application may prove time-consuming to some, and the cost of purchasing one may also get in the way. It is also important to note that there are some free CAD applications you can download for your personal use, and taking the issue of a steep learning can be done with the aid of free online tutorials. So do not be deterred. There is also a less versatile but easier technique you can use in developing your characters. This method is made possible by the use of animated cartoon software applications to ‘cartoonize’ real life pictures or images. Here, you do not need to learn new tools. Just upload a picture of your chosen subject and the application will do the job of animating the characters for you. There are a plethora of excellent animating app options on the net that you can freely download to create a character or an actual storyboard. It is also important to note that these apps produce an animated version of the image you provide and cannot be used as a design tool for concept characters you have stored in your brain. My first foray into the world of animation was through the help of a storyboarding software application, and they have earned a place in my heart. A storyboard software application thoroughly brings the best of both worlds to you for they serve the two most important factors discussed earlier. These applications give you a dedicated space for developing characters through drawing, uploading and their library of animated models. They also double up as a storyboarding tool which allows you create the pilot for your series without moving from one app’s interface to the other. A 3D scanner is a device that you can use to scan actual objects with the aim of reproducing its exact shape and color in digital form. The device is one most 3D printing enthusiast must have come across in their career as a hobbyist, but its use in animation is not widely known. Developing animated characters using a 3D scanner is quite simple, and all you will require is the scanning device and an animating software application. To get your animated character or model, simply run the 3D scanner over your object, collect the produced data on your computer or phone and pass it through the animating software. This process is quite unique and gives you the opportunity to animate virtually any object you can lay your hands on. My last tip will definitely be news to you for you might find it hard to consider the Kinect as an animation creating device. To get your Kinect working for you, you will need to get capture software application installed, scan the person or object performing the animated movements you want. Then proceed to upload these files to your PC in order to generate the animated version via a CAD application. Do not let the lack of drawing abilities stop you from creating the next Simpsons or Family Guy. Simply apply one of the tips outlined here, and you are ready to go.